Thanks so much for considering working with Brooklyn Limestone. I'd love to talk further about ways we can join forces and create some beautiful posts together but I do have some basic ground rules for accepting sponsored content. 1. I only endorse/suggest a product I would be confident in purchasing and using myself. 2. All opinions expressed on this site are my own regardless of if the content is sponsored or not. 3. I will always clearly disclose any sponsored content to my readers. 4. I do not offer any forms of free advertising including commercial guest posts. For all blog partnership, sponsor requests, brand endorsement or appearance requests, contact me at brooklynlimestone@gmail.com. Media kit available upon request. If you have a product or service you think my readers would enjoy, please contact me to discuss a giveaway. Everything written on this blog - sponsored content or not - will always be my honest opinion. I would never recommend a product or service to you that I wouldn't recommend to my closest friend. I respect my readers and myself far too much to ever do otherwise.  If you have questions about anything on this page, feel free to email me at brooklynlimestone at gmail.com.